DAYTONA BEACH, Fla., Wednesday, Sept. 27, 2006 -- After 1,331 miles of testing over two days, Daytona International Speedway's hosting of the IndyCar Series was deemed a unanimous success by drivers, manufacturer representatives, IndyCar Series officials and track officials. The four-hour second-day session wrapped up with a few bent suspensions from drivers with personal speed tests around the 2.73-mile, 10-turn course that incorporated Turns 3 and 4 (31 degrees of banking) and the frontstretch (18 degrees of banking). But the work was effectively and smoothly accomplished. 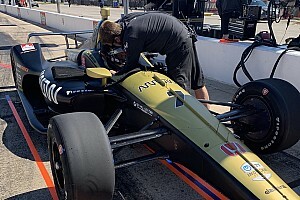 "You can see we're pushing harder today because a lot of people are spinning more," said Andretti Green Racing's Tony Kanaan, one of the four IndyCar Series champions (plus Vitor Meira) participating in the test. "The track guys are having a lot of work with those cones. We're still keeping up the work for Honda with the new engine and evaluating the track." Kanaan's No. 11 Team 7-Eleven car and the No. 6 Marlboro Team Penske car driven by reigning IndyCar Series champion Sam Hornish Jr. were equipped with the 3.5-liter Honda Indy V-8 engine that will be used by the entire field in 2007. They turned more than 600 miles using the engine, which is powered by 100 percent fuel-grade ethanol. The IndyCar Series is the first in motorsports to embrace a renewable fuel source. 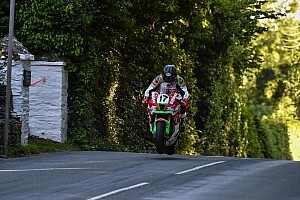 "We came away from the test pretty satisfied," said Roger Griffiths, race team technical leader for Honda Performance Development. "There still is some 'fine-tuning' to accomplish with the various engine controls, but all in all this was an excellent first test for the 2007 spec Honda 3.5-liter IndyCar engine and 100 percent fuel-grade ethanol. We were able to run a lot of laps over the two days, and gathered enough information in the first day to make some initial software changes overnight. We applied those changes today on the ethanol cars driven by Tony (Kanaan) and Sam (Hornish Jr.) and saw further improvements, and that's always encouraging." On-track performance supported dynamometer testing of the marriage, and Firestone engineers reported no issues with the Firehawk racing radials. The engine, increased in displacement from 3.0 liters this past season, will be implemented with the goal of longer life between rebuilds (1,500-plus miles) and more torque for the demands of road- and street-course racing. "It feels like it has more power now," Hornish said. "Everything has felt really good so far. It definitely has more power off the corners. I think it's going to make things a lot more exciting with having that little more torque in the lower end and that opportunity for the wheels to spin, so you're really going to have to monitor that with your foot. You just can't drop the throttle. "I think they're trying to keep the top end the same so at places like Texas and Indy we'll run similar speeds as last year. But at the road courses we'll be faster. I think it will be good." That the modified AMA circuit passed muster with IndyCar Series officials and drivers could lead to a second warm-weather testing venue. The IndyCar Series has tested on the Homestead-Miami Speedway road course the past few years. Crunch: Sam Hornish Jr. brought out the only extended full-course yellow in the morning session when the No. 6 Marlboro Team Penske car spun entering the chicane on the backstretch and backed in to a tire barrier. Hornish said he didn't expect how aerodynamic changes would affect the car entering the high-speed chicane. There was an extended caution period after Vitor Meira's No. 4 Panther Racing car made contact with the SAFER Barrier exiting the chicane. Both drivers were checked at the infield care center and cleared to drive. "We were having a good day finding out new things for our road course setup, and this last change was a little bigger than I thought," Meira said. "Coming out of the second chicane, which is kind of bumpy, our Lincoln Tech car stepped out and spun into the outside of the oval wall. It's unfortunate that we crashed because we had two good things to try and now it looks like we're going to have to wait and try them later." 'Love bugs' create a mess: Drivers quickly saw the region's seasonal "love bugs" -- on their face shields. "I don't know if I think that's an appropriate name for them," Hornish said. "But after two laps my face shield was covered with them. We'd have to use more tear-offs if we raced here at this time of year." Said Vitor Meira: "The really annoying part is when you come into the pit and sit in the car while the engineers crunch their numbers. The bugs smell all the sweat on my uniform and just swarm all over me." New layout: At the suggestion of IndyCar Series drivers Tony Kanaan and Vitor Meira, two-tenths of a mile and two turns were added to the road course in the final 30 minutes of second-day testing at Daytona International Speedway. After all, it was a compatibility test. The change utilized an additional left and right turn -- more aligned with the AMA course -- near Lake Lloyd in the infield. "Then we can evaluate what we can do in the future," Kanaan said of the mid-course correction. "I'm very impressed with the fans that have come out and it's been a busy last couple of days for us as far testing and hosting the fans and the media. It's been very positive." The configuration laid out for most of the test was 10 turns and 2.73 miles, which incorporated Turns 3 and 4 (31 degrees of banking) and the frontstretch (18 degrees of banking). "I think they're trying to the very best thing they can as far as what's going to suit the cars the best and what's going to give us the best likeness to what we're going to experience in a race," reigning IndyCar Series champion Sam Hornish Jr. said. SAM HORNISH JR. (No. 6 Marlboro Team Penske Dallara/Honda/Firestone): "The biggest thing about this track and the reason we want to come here is we have some high-speed corners and we have corners where you have to brake from high speed down to really slow. We have some corners that are bumpy where the car is moving around quite a bit that would be more like a street course for us. I think that's one of the things that is really good about coming here. On the other hand, we're trying to get the car to handle better over the bumps and trying to get it to negotiate the bumps better. If you do that, you start to take away from the high-speed stuff." (About running new engine package): "It feels like it has more power now. But you would say it should since it has more displacement. Everything has felt really good so far. I've had fun driving for the little bit that I can. It's definitely has more power off the corners. The drivers having to do the traction control with their foot. I think it's going to make things a lot more exciting with having that little more torque in the lower end and that opportunity for the wheels to spin, so you're really going to have to monitor that with your foot. You just can't drop the throttle. I think the addition of that horsepower and I think they're trying to keep the top end the same so at places like Texas and Indy running, we'll run similar speeds as last year, but at the road courses, we'll be faster. I think it will be good." TONY KANAAN (No. 11 Team 7-Eleven Dallara/Honda/Firestone): "It's a different day, but the same racetrack. You can see we're pushing harder today because a lot of people are spinning more. The track guys are having a lot of work with those cones. It rained overnight, so the track was a little worse in terms of grip this morning. We're still keeping up the work for Honda with the new engine and evaluating the track. (About altering the layout): "As racecar drivers, we're never happy. We're always going to complain about something. I think what we're seeking is a better racetrack to find more things out. You add a couple of extra corners and it becomes more physical and difficult for us. It's more challenging to set up the car. When we looked at it, we can add two or three more turns to the track. Why are we not going to do that? We can figure out if it's going to work. It's going to be more competitive and there's going to be better places to pass. It's going to be more competitive because in setting up the car, you're adding three more corners to a 10-corner race track. We're seeking improvement. Not that what we have is not good, but if we have different layouts, why not use them. When they designed the layout, it was done for us to come and evaluate. The IRL is always trying to improve and (Brian) asked for feedback of us and adding a couple of corners makes it more fun too." DAN WHELDON (No. 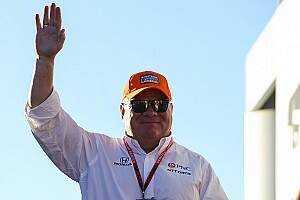 9 Target Chip Ganassi Dallara/Honda/Firestone): "Obviously, I'm an avid fan of the Indianapolis 500 and understand the tradition and history of that venue. It's a race that I'm very passionate about. I think everybody in England knows that Daytona International Speedway is assumed with NASCAR. To be here in an IndyCar, I think for the drivers, it's fantastic because there's that history there I think everybody respects. I think the people at the track do everything to accommodate the different sanctioning bodies and races that come to this venue. I think it's a race that everybody wants to do. I'm very excited to be here. I know that everybody at Target Chip Ganassi and Honda is excited to be here. We're just hoping to make it happen. Today we're just checking the track out and giving our opinion and feedback. We're obviously working on some road course stuff. It's good to be here. I hope we come back sooner rather than later." VITOR MEIRA (No. 4 Lincoln Tech Panther Racing Dallara/Honda/Firestone): "I think we did a lot of improvement overnight and we were able to go faster than we did yesterday. We're here to evaluate engines. I have the engine we used this year, so we can have a comparison from the old spec to the new spec. The fans here have been amazing. Not only the fans, but the media we're getting -- not only people from outside the fence, but the people who work here at Daytona Speedway. They are pretty psyched about it. They're coming here and giving us approval because they want to see us back here. That's a really good thing." 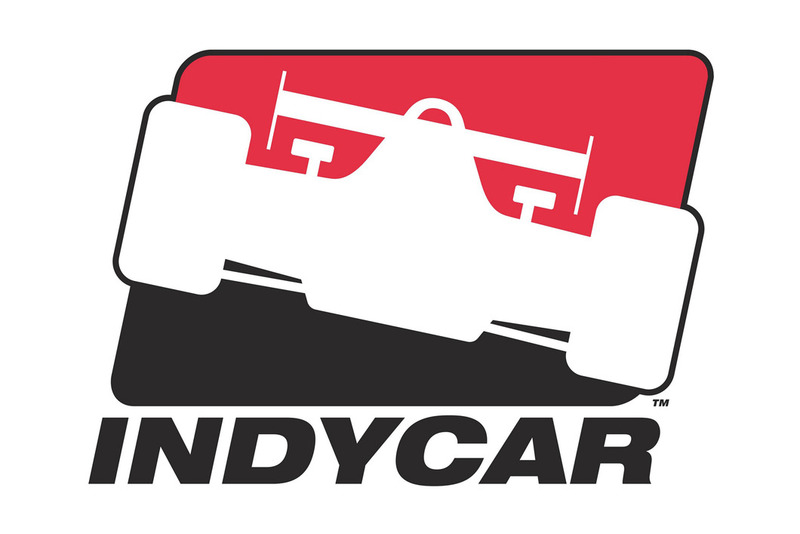 The IndyCar® Series will conclude a two-day compatibility test at Daytona International Speedway on Sept. 27 that will feature five drivers from four teams. 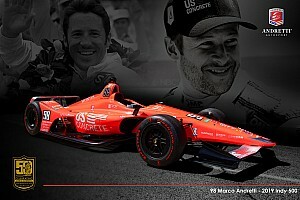 The last four IndyCar Series champions, Sam Hornish Jr. of Marlboro Team Penske, Dan Wheldon and Scott Dixon of Target Chip Ganassi Racing, and Tony Kanaan of Andretti Green Racing will join Panther Racing's Vitor Meira at the test on the 10-turn, 2.73-mile circuit.